Bold. Committed. Open-minded. 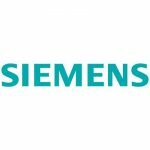 Siemens AI Lab is a collaborative interdisciplinary platform for industrial research and exploration in Artiﬁcial Intelligence. We catalyze relevant, responsible and reliable AI solutions to discover & facilitate their future potential within Siemens AG. We provide room for an open exchange with our AI ecosystem through Hackathons, Meetups & Talks, Open Events. Located in the heart of Munich our lab is the place to connect, discuss, innovate and embrace the future! Our core team consists of strategic and technical experts. We offer you an opportunity to be a valuable part of the high-performing, interdisciplinary team with your own areas of responsibility. If you are a true team player, an analytical & curious mind with a genuine interest in Artificial Intelligence, we are looking forward to your application! To apply for this job please visit germanentrepreneurship.recruitee.com.